A nice bottle of wine is a great hostess gift, especially since stocking the bar for a party can get very pricy. 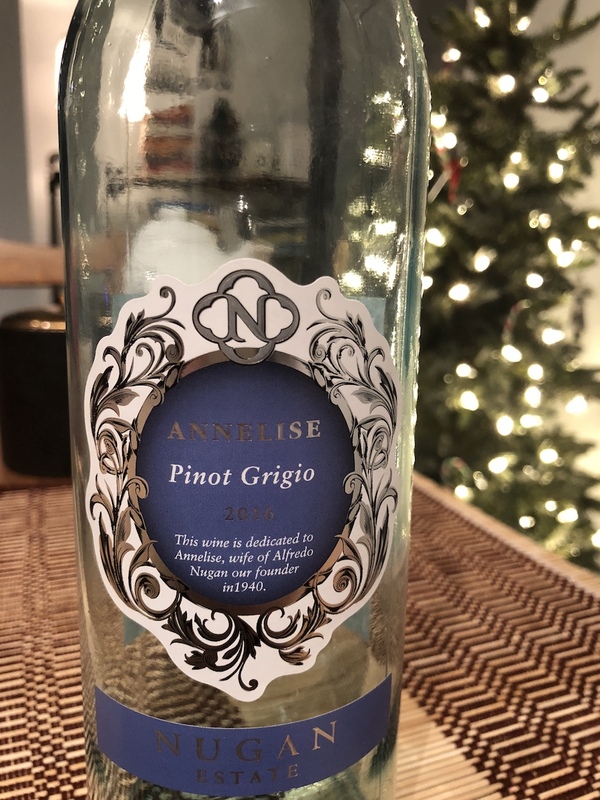 I’m on a white wine kick and recently polished off this bottle of Nugan Estates Annelise Pinot Grigio ($14.95 at LCBO) with my friend Corrine, alongside a delicious round of Oka and homemade pasta dinner. First of all, how stunning is the bottle and label art? I love it! It barely needs any gift wrapping to begin with. The wine itself is fresh, fruity and has a bit of fizz. Make sure to chill this one. It paired nicely with our veggie chicken pasta and spinach strawberry balsamic salad. We didn’t get too fancy with our cheese appetizer, we cut thin slices of cheese and topped with some fresh strawberries. 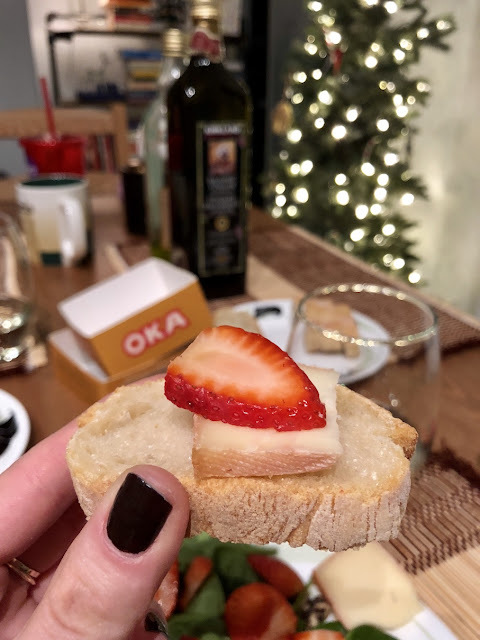 Oka has a fresh taste that isn’t too strong or sweet, it pairs beautifully with fruit or jam and is made in Quebec. 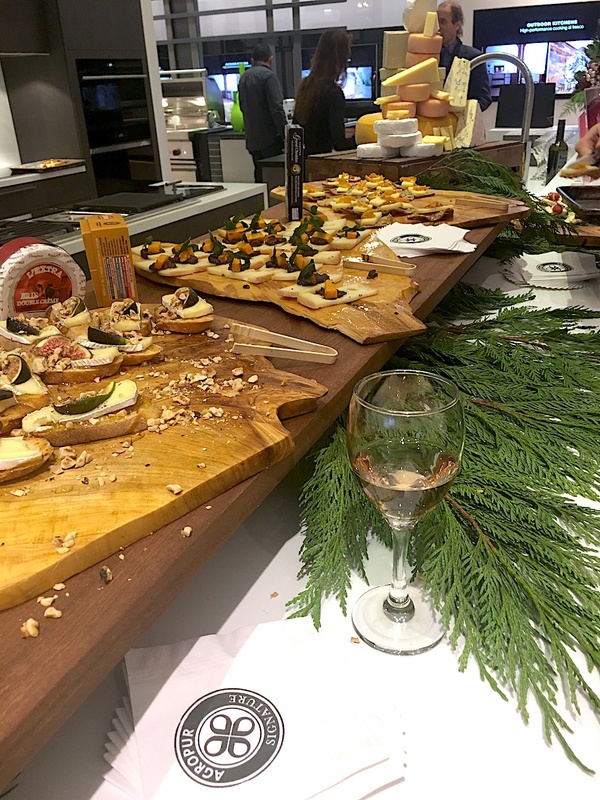 You can find some outstanding cheese recipes and appetizer inspiration here at The Cheese Bar by Agropur. If I recall correctly, the Oka at the foodie press night was served alone (no cracker) topped with squash, olive tapenade and rosemary. It’s in the back behind my wine glass in the photo above. I recently purchased some beautiful wine bottle cards from "I'll Know It When I See It" at the One of a Kind Show in Toronto. They dress up a bottle perfectly, and have such adorable sayings. I also had an idea recently - all those gorgeous Christmas cards? Before recycling, you could consider cutting off the front side and attaching another piece of card to go around the neck, creating your own wine bottle greeting card. I’ll definitely try this out sometime soon, follow me on Instagram @madeline_dm to see how it turns out. 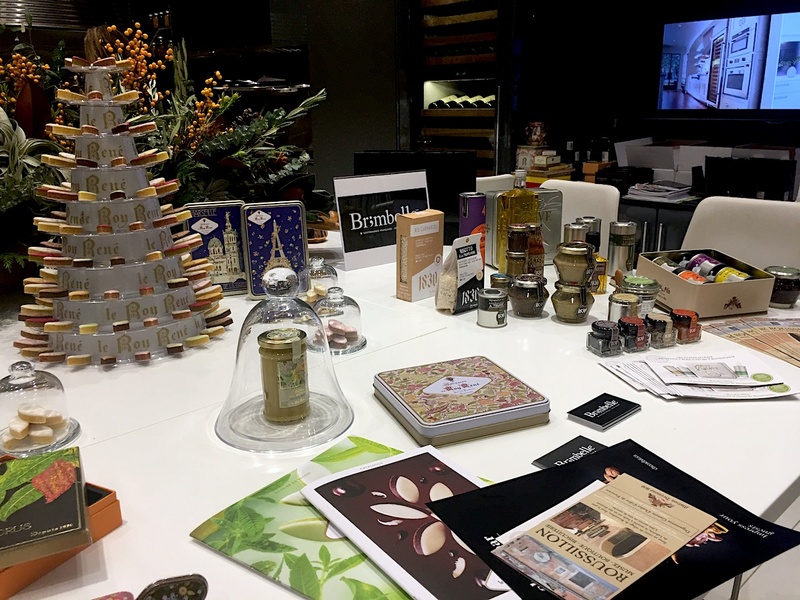 For some more unique hostess gift ideas, consider a few of my favourite things from France, brought to Canada thanks to Épicerie Brimbelle. Calissons are a must for me (soft almond candies), along with Dammann Frères tea - the best black and green teas I’ve ever tasted. You can find all of these amazing products at their Montreal location - 75 Shamrock Avenue. Follow on Twitter or Instagram. 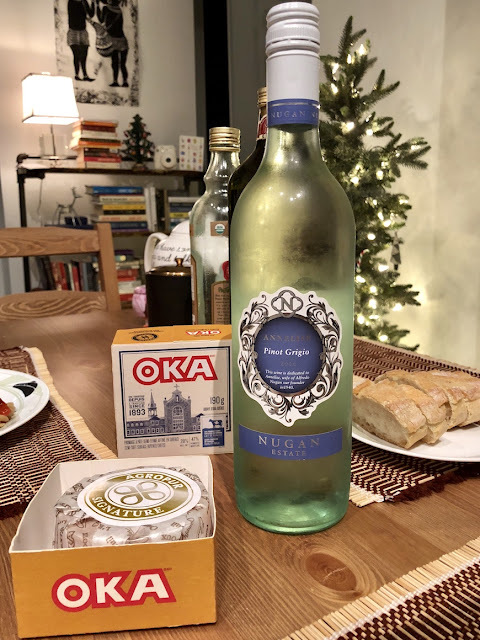 Wrapping paper – using decorative holiday themed wrapping paper to gift wrap a bottle of wine. Sweater Wrapping – using the sleeve of an older sweater to wrap the bottle. Knee high socks – wrapping a bottle of wine within a knee-high length sock. Decorative wine cozies – use holiday themed knee-high length socks to wrap bottles. Craft paper - Wrap wine bottles in craft paper and incorporate holiday themed accessories to make festive. Felt wine cover – creating a sweater out of felt to wrap a bottle of wine. 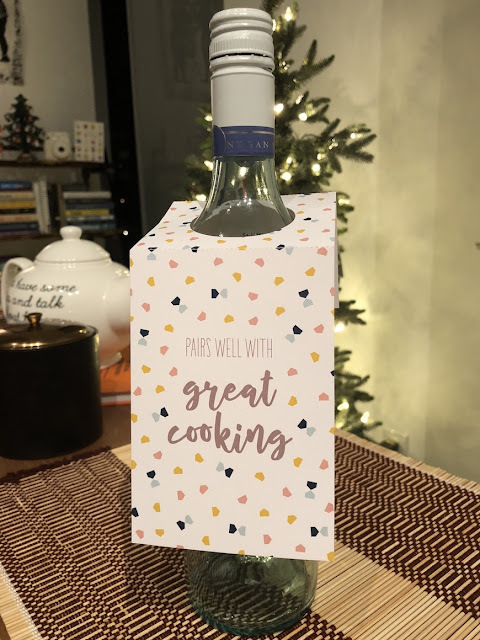 Fabric packaging – use coloured fabrics to dress up a bottle of wine. 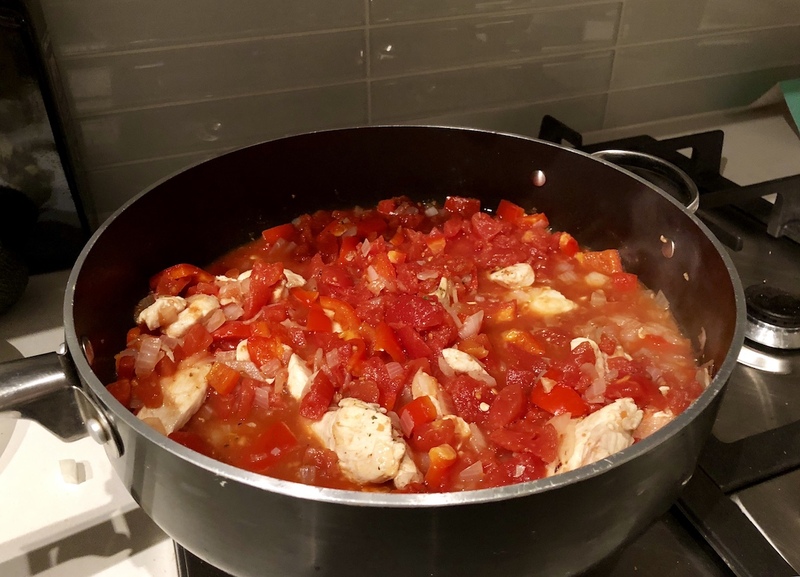 Knitted hats and scarves – create hand knitted hats and scarves to wrap bottles of wine. Hope you all had a fabulous end to 2017.